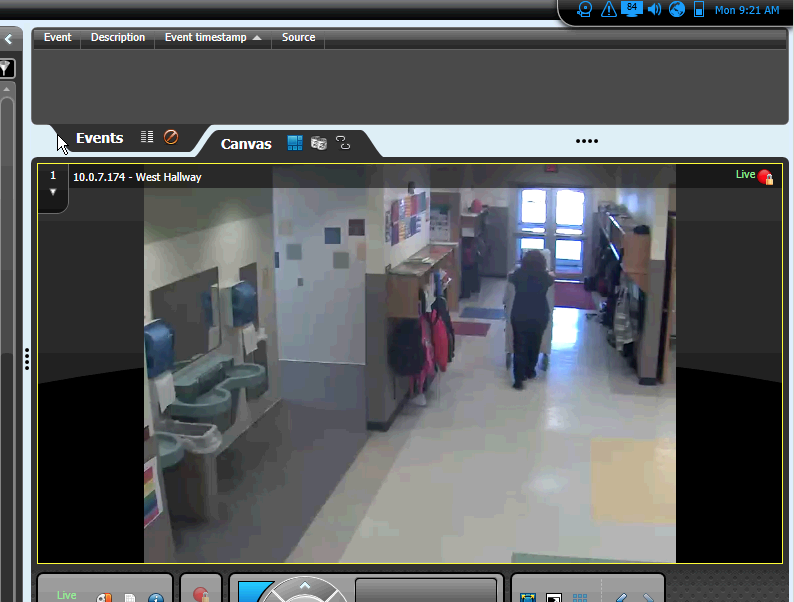 Genetec™, a leading provider of unified IP security solutions today announced that North Bend Central School District (NBCPS) has chosen and installed Genetec Security Center to better protect its elementary and junior high school students. North Bend Central School District serves a community of 1,200 residents in the southwest corner of Dodge County, Nebraska. Its facilities include a PK-6 elementary school and a central junior-senior high school campus, accommodating approximately 560 students. While North Bend is a close-knit community and usually devoid of serious risk, NBCPS always stays vigilant in ensuring its students and faculty are safe. The school district had been using a very small analog digital video recorder (DVR) camera system to track minor incidents of vandalism in its high school building, and doors to both buildings were secured by keys. The manual process of locking and unlocking doors and tracking keys was tedious and cumbersome. Upon receiving a sizeable financial federal bond, the school district planned a major infrastructure improvement which included a complete security upgrade. NBCPS turned to Prime Communications, a certified security solutions provider, who proposed Genetec Security Center, for a unified approach to security with video surveillance and access control. Today, NBCPS is using Security Center to manage a total of 36 network cameras from Axis Communications and 15 HID Global door readers and controllers across both buildings. Synergis, the access control system of Security Center, has been pre-configured to automatically lock and unlock the main entrances and exits of both school buildings according to school schedules. Since the community also uses certain facilities after-hours, the NBCPS facility managers can easily make schedule adjustments within Synergis to accommodate different events or special exceptions. Administrators can also quickly activate or de-activate cards as required. “Because everything is automated, we don’t need to have someone come in and manually lock or unlock doors anymore. We schedule everything in the system or we assign community members visitor badges with specific privileges and access rights. Synergis has been really easy to use,” explains Jim Cody, Technology Coordinator at NBCPS. From an IT perspective, Security Center has also been extremely adaptable by running within a virtualized environment and thus allowing NBCPS to minimize hardware. Omnicast, the video surveillance system of Security Center is also set to record on motion. “We’re a small district and we don’t have the money to spend on terabytes and terabytes of data storage or servers for our security system. Having motion detection supported within Omnicast has saved us a lot of time searching for video and minimized storage costs,” added Cody. NBCPS is using Security Center mainly for after-the-fact investigations, yet rotating video feeds are consistently displayed on monitors in administration offices. Being able to quickly locate, time-stamp and export video as evidence has proven to be useful to identify a suspect who had damaged school property during a school event and also provided video evidence to parties with different recounts of a traffic accident that was caught on camera. While Security Center features such as remote monitoring have saved staff considerable time in handling video investigations from home, more powerful features like Security Center Mobile, Health Monitoring and Active Directory Integration are top of the to-add list in the future. To learn more about how Security Center was set up and deployed at North Bend Schools, read the full Genetec Customer Case Study.